I joined Slap Architects just under five years ago, during this time I have personally been working with Farnham Developments in their capacity as Head Contractor on many of our client's projects, although Slap Architects have enjoyed the working relationship for many years prior. 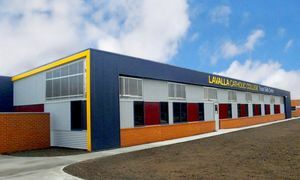 The projects we have worked on together have typically been complicated and highly technical due to them being within a working hospital at Latrobe Regional Hospital (LRH). Their approach has always been calm, methodical and above all solutions based, whether it be directly with me/us or with the client. Their knowledge of tendering, construction and sub contractor management is testament their experience in this industry. There are other projects that were constructed by Farnham Developments that were managed by other members of Slap staff both residential and commercial. We have no hesitation in recommending Farnham Developments in any construction related endeavour. Should you wish to discuss this further, my direct number is 03 5150 0607. My Company, NozTech Drafting, has had a productive relationship with Farnham Developments since 1995. It has covered both residential and commercial constructions. Over the past 20 years Noz Tech has worked with Farnham Developments and produced many outstanding buildings with happy clients. 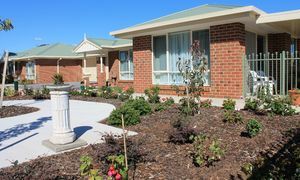 Our most recent Project was to design and construct an additional 29 Independent Aged Care Units for Fairview Homes. This Project was completed on time and within Budget. I hope we can continue our successful partnership which only provides our clients with a positive outcome. Farnham Developments have recently completed a significant redevelopment of the Morwell Bowling Club. The project included extensions to the existing building and the refurbishment of the gaming room, lounge areas and bars together with the construction of a new alfresco area. The project required a high quality of finish and adherence to specific timeframes. Both were achieved. Farnham Developments managed the delivery of the project particularly well both on and off site. Their willingness to be flexible and accommodating of the Morwell Bowling Club's needs to maintain continuity of services to their patrons were key to the success of the project. Farnham Developments personnel were professional throughout and possessing of the necessary knowledge and experience. Bate Design Strategies are pleased to provide this testimonial for Farnham Developments and look forward to future opportunities to work together on other projects. Fairview Village commenced a working relationship with Farnham Developments in 2008 with the construction of 20 Independent Living Units through an architect design tendering process. In 2011 we again engaged the services of Farnham Developments with an architect’s design to construct a 16 Unit Two Storey Independent Living Apartment Building. Fairview Village obtained the services of Farnham Developments in 2012 to commence the co-ordination of a design and construct project of an additional 29 Independent Living Units. This was completed in March 2015. Building and sustaining trust in doing business always provides a productive relationship. Fairview Village and Farnham Developments have developed this over time which has provided a positive effect on Fairview Village best interests in moving forward. It is without hesitation Fairview Village can provide this testimonial for Farnham Developments. The Morwell Bowling Club has completed two major Club renovations in the past 7 years, on both occasions Farnham Developments were successful via a tendering process. Farnham Developments were very professional and methodical in their approach, importantly they completely understood the need for the Club to operate at is maximum capacity during the construction process. The Club found that Farnham Developments extended themselves to ensure they achieved the results required within timeframes and budgetary parameters. The Morwell Bowling Club has been very satisfied with Farnham Developments and their ability to get the job done and we look forward to working with them on future projects. SMJ Cabinets commenced a business relationship with Farnham Developments in 2004. We have covered, over the years, both commercial and residential projects locally and in Melbourne. The association has benefited both ourselves and Farnham Developments. They have procedures in place that ensure our account is paid in a professional manner within an appropriate time frame. By doing this it ensures we have a continued successful relationship. We also engaged the services of Farnham Developments in 2009 to complete our own factory extension. We are sure our companies will continue to trade in the manner in which we are accustomed to. Farnham Developments have had a trading account with Reece Plumbing since 1990 and have established a long excellent payment history. With 20 years experience within Reeces, I have been actively involved with Farnham Developments account for the past seven years. I have found the company to be honest in their dealings and if any issues have arisen their attention to detail ensures the issues are resolved in a timely fashion. Both companies have benefited from Farnham Developments growth and we hope we can continue our relationship moving forward in the same manner.